January in Florida - - PAGE 430. January in Florida · · PAGE 430. January 20, 2018: The politicians may not agree on keeping the US government workers doing their jobs, but the weather here was good for flying today. There were a number of days in early January when a lot of the country suffered from extreme cold, snow, and ice storms. Central Florida is usually above freezing on the coldest nights of the year. We had a few of those winter days and nights with windy conditions that are not enjoyable for flying. Today, it was hazy in some areas and some light rain showers behind me in the south end of Brevard County. The temperature was in the high-60's and low-70's and winds were light at ground level. I did notice a 15 MPH tailwind from the south at 3,000 MSL. 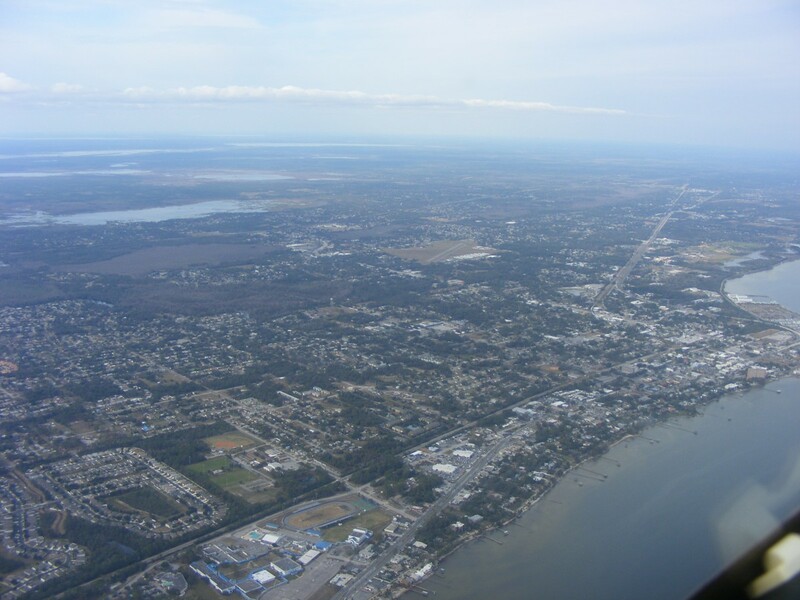 This view looking northwest from above the Indian River shows Arthur Dunn Airpark on the north side of Titusville. There was no parachute jumping activity today. I always avoid going over the top of this airport, just in case there are jumpers coming down from 14,000 feet. Only one time have I flown past here on the west side of Interstate 95 and had jumpers open their parachutes at about 3,000 feet MSL, way off my left wing. It is almost exactly ONE MILE from the center of Dunn to the closest point of Interstate 95 west of the city. 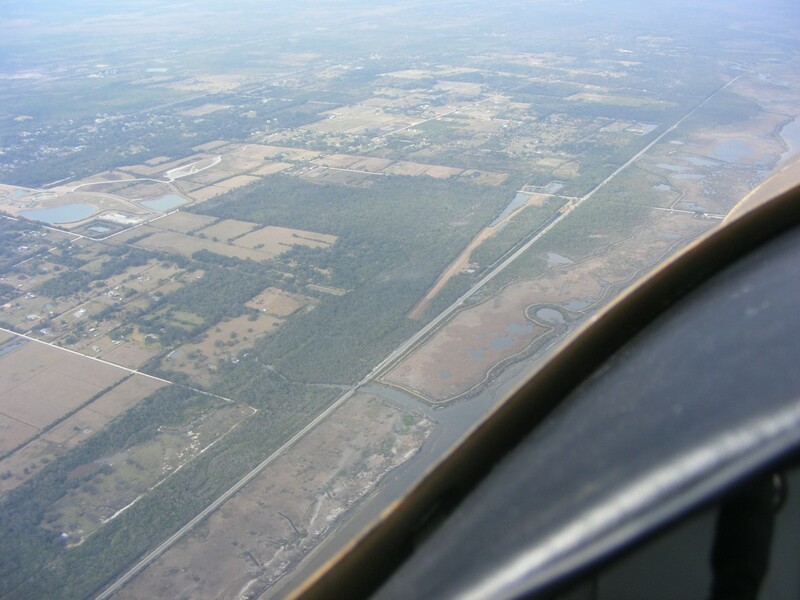 I learned about this private airport recently and decided to take a look at it as I cruise at 3,000 feet MSL up toward the north end of the Indian River Lagoon. I descended down at the north end of the lagoon and made a low pass over the runway coming south for a close up look. You will pardon me for not taking a photo during the low pass as the trees alongside the runway were tall and safety was my top concern. Here is a Google Earth view with my GPS ground track overlay shown in BLUE for the low pass run from north to south. When I looked at the ground track from my GPS, it did not line up with the waypoint I created from the data on AirNav. Here is the link to their online file for this private airport. http://www.airnav.com/airport/3FD6 I placed that push pin in the middle of the airport while looking at it with Google Earth. As you can see, my GPS track went directly over the push pin coordinates which are 28° 45.696'N latitude, and 80° 50.975'W longitude. AirNav data was 28-45.849500N / 080-51.236550W about 980 feet west of the north end of the runway in the trees. AirNav reports the runway length at 3,000 feet, while the usable length is around 2,600 feet using the measuring tool on Google Earth. Wendell's grass strip near Chickamauga, Georgia where my airplane lived for seven years is about 2,500 feet in length. 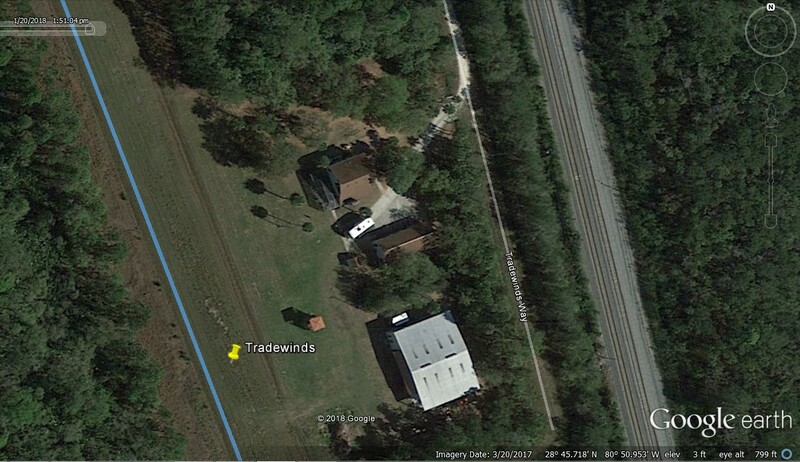 Here is a close-up view from Google Earth showing the Florida East Coast Railway tracks east of the field. The shadow from the morning sun angle defines his "control tower" for days when friends fly in for a social gathering. Notice the GPS ground track has "moved" with the change of the "eye altitude" and the offset from the track. When the push pin is centered in the computer screen on Google Earth, the GPS track above ground level lines up with pin at ground level as seen in the image above. 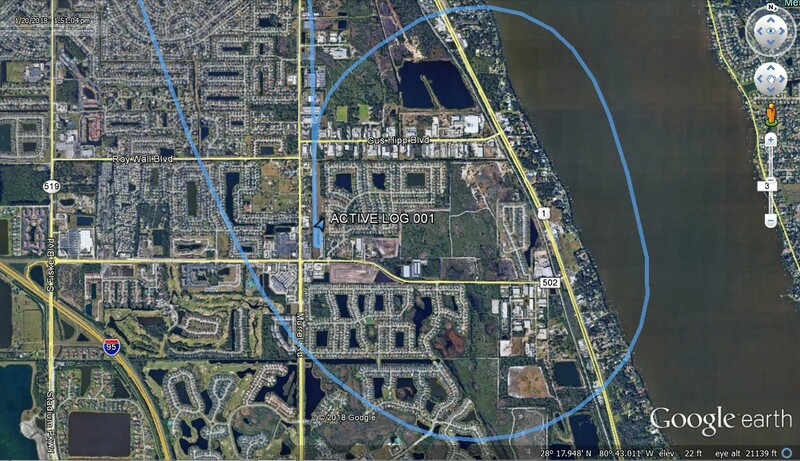 Here is the big picture showing how close the Kennedy Space Center is to the flight corridor above the Indian River that remains clear of restricted airspace. The 15,000 feet of the shuttle landing strip is clearly visible as is the Vertical Assembly Building and launch pads 39A and 39B. 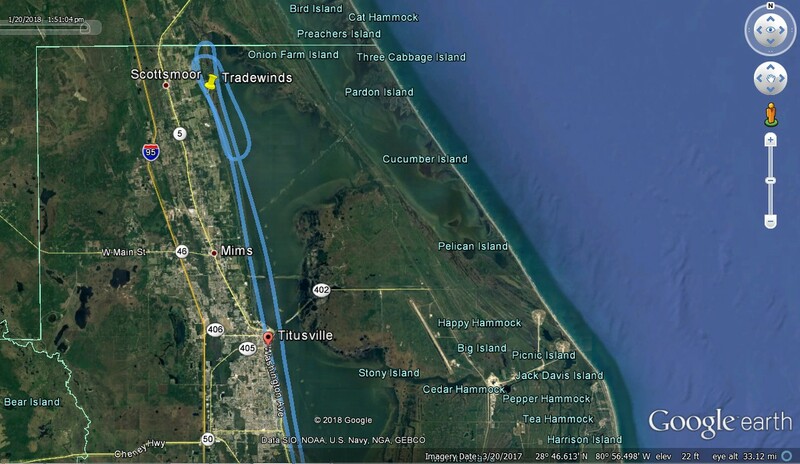 Here are the takeoff and landing GPS tracks at the Rockledge Airport. I departed to the north, then circled out over the river while turning south to gain altitude, being a good neighbor with my reduced power settings and lower noise until I was above 1,000 feet MSL then turned north. The return landing was from the north which does not require back taxi on the runway to reach the hangar via the taxiway. The GPS flight path today was 89.3 miles with 0.8 hours added to the Hobbs Meter for a total time of 412.2 hours. January 27, 2018: Saturday again with some overcast clouds up above several thousand feet and I headed for the airport. I had lunch before going to the hangar. The side door was open and Bill was away at lunch and the FM radio was playing. This is what I saw blocking the chance of getting my airplane out to go flying. 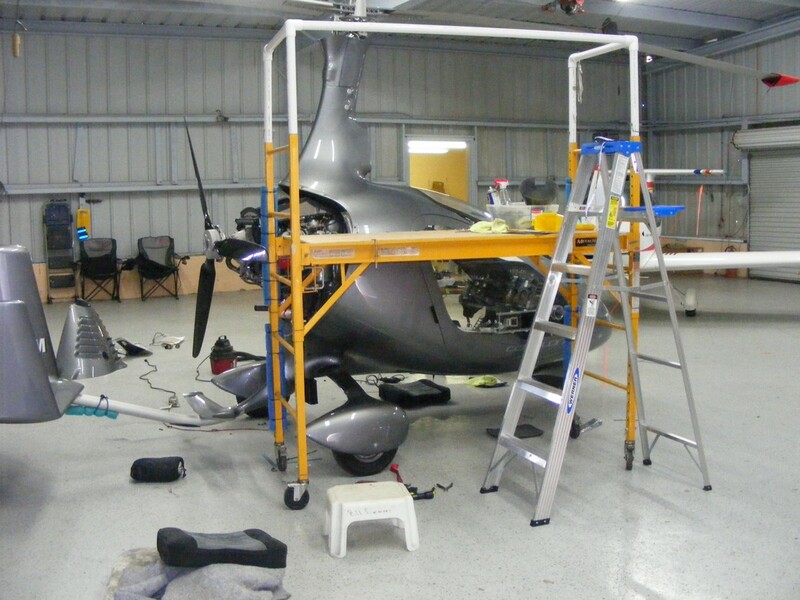 The Gyro copter is getting some minor work done today. 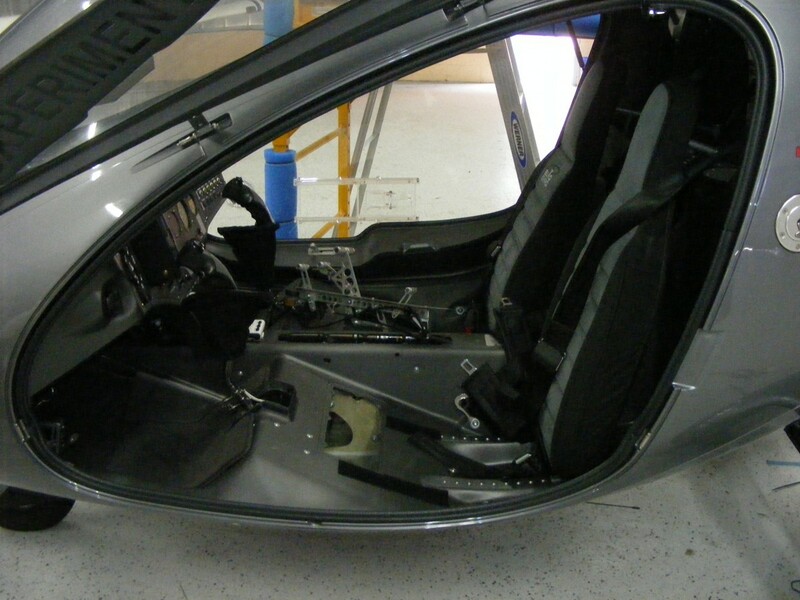 The pilot's seat had been removed to gain access to some wiring. 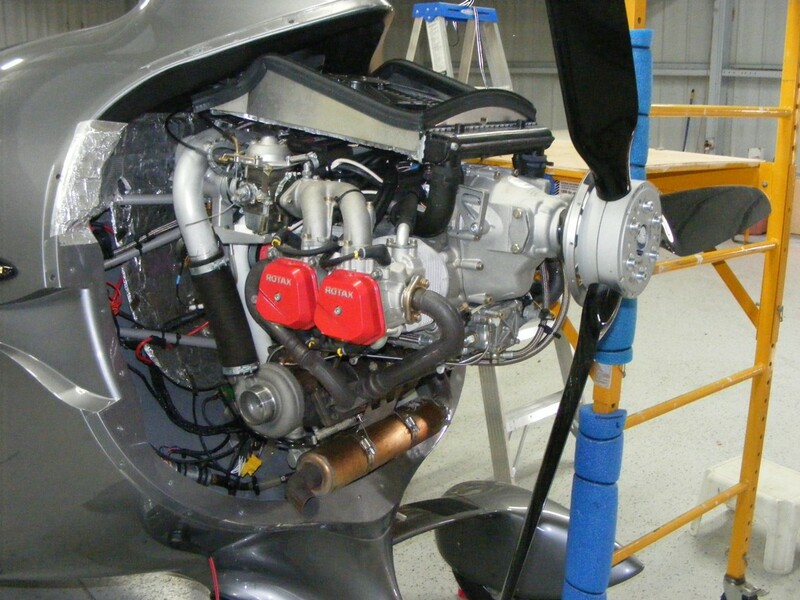 With the cowling off, the turbo-charged Rotax engine is revealed with its radiator and cooling fan on top of the engine. Yep, it has antifreeze coolant and a 3-blade propeller. 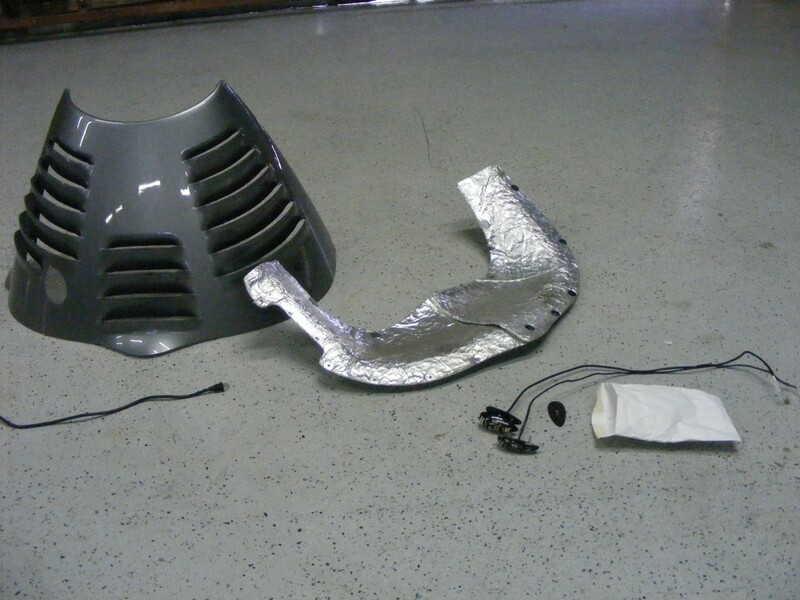 And here is what was being worked on: LED LIGHTS that have RED and GREEN marker lights and white LED strobes. The originals from the factory had problems. At this point I went back inside to see the details of the launch from the television news channel replays.